*This is a contributed/sponsored post. Last year, ruffles were all the rage. With labels such as Realisation Par being on every blogger’s ‘must-have’ list, the fashion world was inundated with tea-dresses with ruffle details, not to mention wrap-dresses with ruffle edging. The good news is that ruffles haven’t gone away. However, there’s a new contender vying for the style crown, and that’s ruching. Here’s some guidance on how to rock this look. Ruching and ruffles – what’s the difference? Ruching and ruffles may sound similar, but they’re actually pretty different. Ruffles are created by the fabric gently waving in and out (much like a gentle sea-wave, actually), whereas ruching is where the fabric is gathered and pulled together, creating more volume and a series of lines leading to one point. Work out what areas you want to accentuate. If you’re proud of your toned waist, look for a top or dress that features ruching above the hip. This will enhance your natural silhouette. Alternatively, if you want to lengthen your body, search for vertical ruching than runs down the body. Be subtle. You don’t have to go ‘all out’ with this style. A simple ruched mini-skirt, teamed with a slouchy jumper and trainers, looks effortlessly cool. Alternatively, a cute little ruched cotton vest top is a welcome alternative to your featureless sleeveless top. Go glam. Ruching is a look that’s custom-made for eveningwear. If you’re going out for the evening, a slinky ruched figure-hugging dress is the way to go; preferably teamed up with smoky eyes, red-hot lips and a spritz of a classy perfume like Bleu De Chanel. Or, go casual! One of the best things about this style is that it can be worn in several different ways. 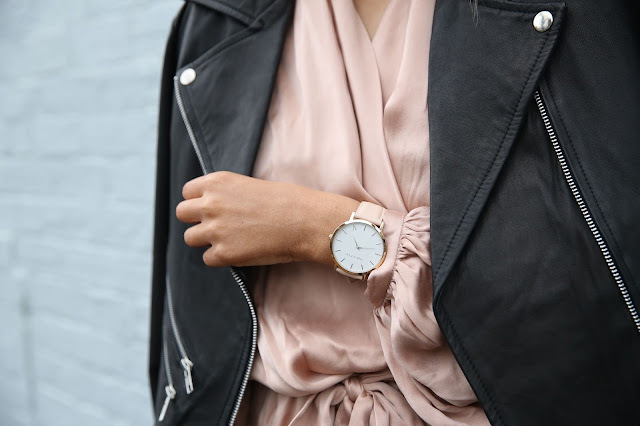 You can team up a ruched baggy shirt with a pair of jeans, for example; or wear a ruched slip-dress with your Doc Martens and a long cardigan. Ruching also works incredibly well in swimsuits, as it nips in the waist. Be inspired by the past. Ruching is often very modernist, but it can hark to previous eras too. For example, some of the cutest maxi-dresses have seventies-style ruched layers, which are ideal for lazy summer days. Some eighties-inspired power-suits (complete with wide shoulders) also feature subtle ruching detail. Patterned is more flattering. If you’re concerned that ruching won’t flatter your shape, look for a patterned option instead. For example, floral-patterned ruching creates a lot of visual interest, with the flowers complementing the gathered fabric. Polka-dots also work well and are very on-trend at the moment. Above all else, have fun with it! Fashion is all about experimentation and finding out what works for you personally. Test out different accessories with your ruched garment. For example, a belt adds interest to a dress, and a neck-scarf gives your outfit a hint of Audrey Hepburn cuteness. Have fun! So what do you think? 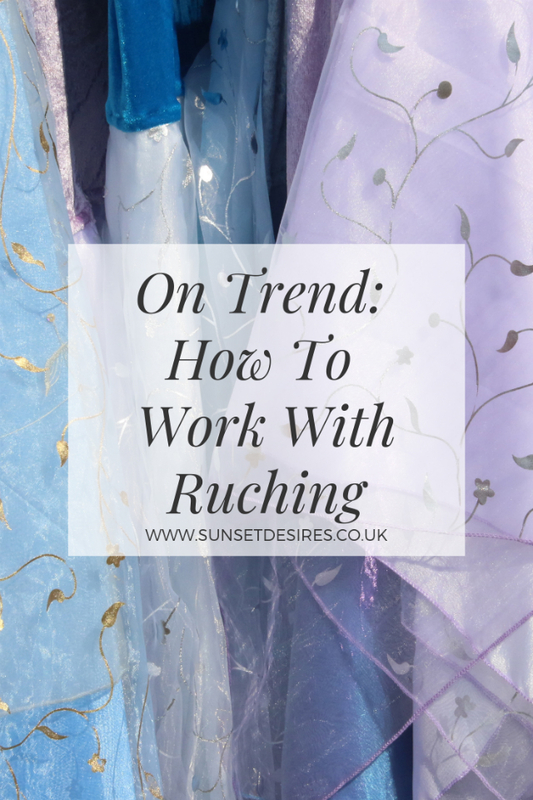 How are you going to incorporate ruching into your wardrobe? Let me know in the comments below and while you are here why not check out more of my fashion-related posts? *This post contains affiliate links. This means I will earn a small commission on any of the items you buy through my links. All opinions are my own. Today's post is another in the 'On Trend' series. I have previously done Bomber Jackets and this time around I'm doing snake print. I'm currently obsessed with anything snake print, my latest boot buys will tell you that. 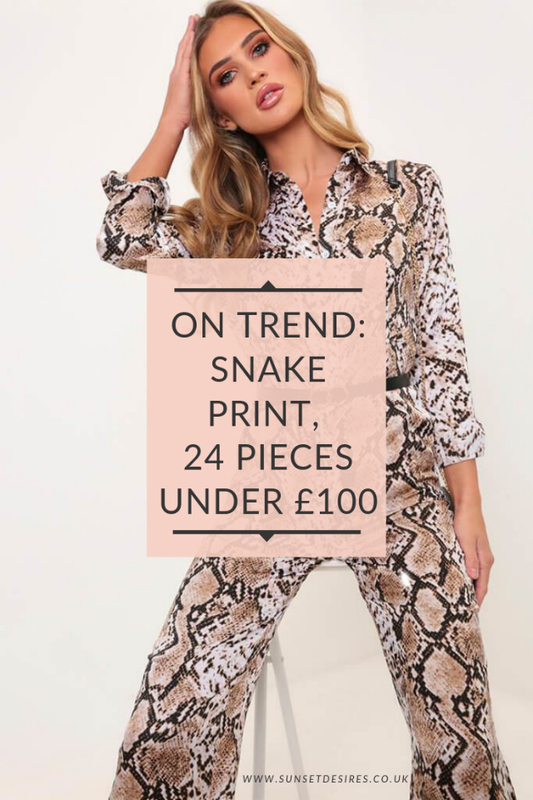 4 snake print pairs and counting... For me, it's the more colourful the better but hopefully, my list will give you some diverse pieces that you will enjoy. Which is your favourite piece from the ones below? Let me know in the comments below along with what your favourite print currently is. 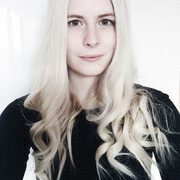 While you are here, why not check out more of my fashion-related posts? We all want to look good and demonstrate our understanding of fashion through the clothing choices we make every day. Nonetheless, there are many among us who do so at the expense of our comfort, our happiness and our health. 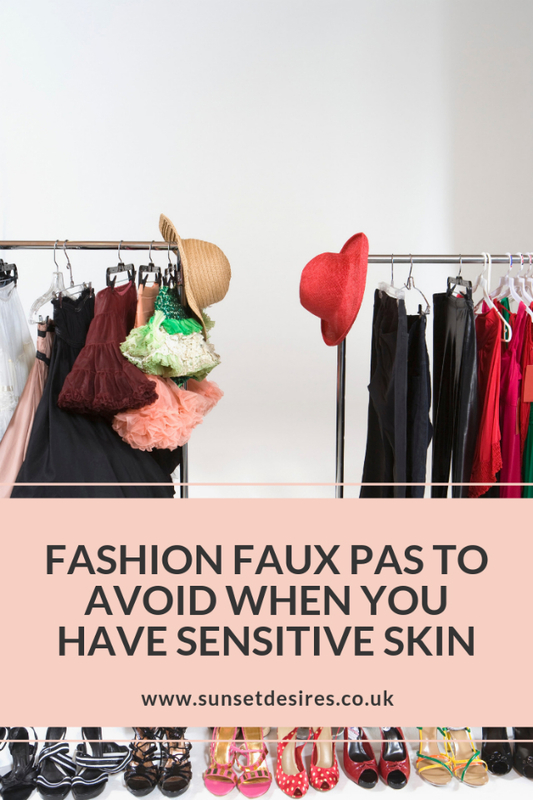 For those with sensitive skin, keeping up with fashion can be an itchy, uncomfortable and irritating ordeal. Why? 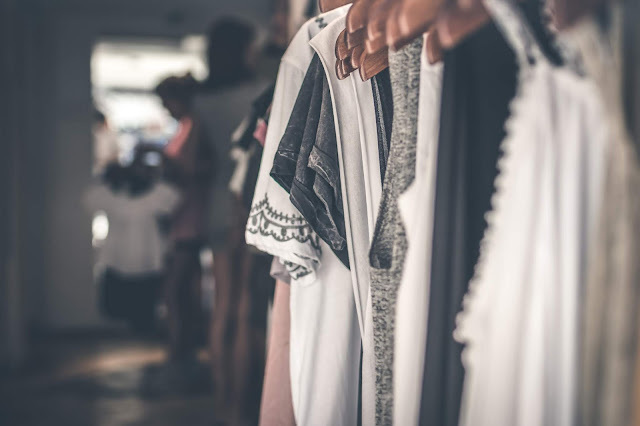 Because so many fashion brands rely heavily on synthetic materials, chemical dyes and other compounds which are great for churning out products to keep up with the demand for fast fashion… but not too hot when it comes to protecting the skin of those who wear them. For many with sensitive skin, irritation occurs when the skin doesn’t get the opportunity to breathe and their pores are clogged with dried sweat, old skin cells and the general detritus of the day. For this reason, you should embrace natural fibres like cotton, linen, hemp and other plant-based materials. Wool is also fine for most, although some may experience allergic reactions to it. Avoid polyester and other synthetic materials like terylene, nylon and rayon. These can prevent your skin from breathing and lead to irritation, itching and flare-ups. A colourful wardrobe is very much en vogue this spring. Nonetheless, those with sensitive skin should stick to clothes that use water-based dyes rather than their synthetic counterparts. Chemical dyes can create very vivid colours but they can also provoke reactions in the skin that make garments less than fun to wear, no matter how good they look. What’s more, chemical dyes are notoriously lousy for the environment. Here’s some great advice on avoiding synthetic dyes in clothing. What outfit doesn’t benefit from the right jewellery choices? 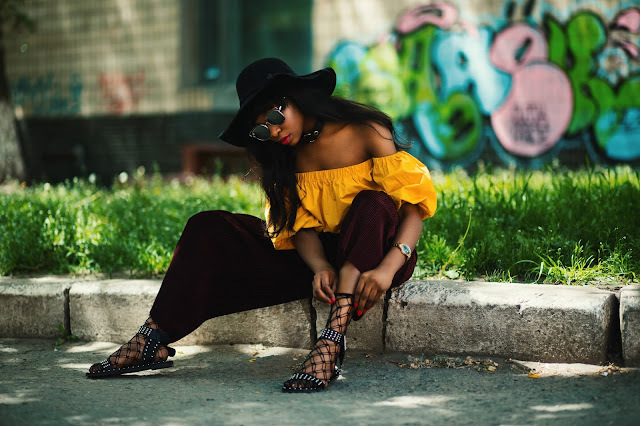 The right earrings, necklace, bracelet or nose ring can make any outfit pop while also lending your ensemble a sense of individuality. 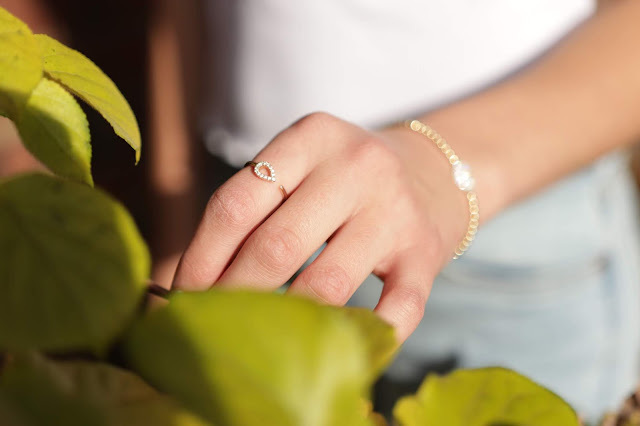 However, when buying jewellery, be sure that what you’re buying is 100% gold as fake gold can be very irritating to sensitive skin. Fortunately, good quality real gold accessories needn’t cost the earth as you can see by checking out these real gold nose studs. Your individuality needn’t come at your skin’s expense! Finally, while your clothing and jewellery choices make strong fashion statements, let’s not forget that your makeup and cosmetics are also part of your ensemble. What’s more, if you have sensitive skin, they are potentially the most important part. Avoid makeup and cosmetics that are tested on animals. Apart from the obvious ethical considerations, products that aren’t cruelty-free have not been manufactured with the specific requirements of human skin in mind. While they may do okay for most, they can create problems for those whose skin is prone to irritation. So, there you have it. You don’t have to be a fashion frump to enjoy flawless skin! While you are here why not check out more of my fashion-related posts? If you enjoy the finer things in life, then when you travel it is the perfect time to embrace all things luxury. Seeing a new place in style, and being able to try out lots of new things, try out new foods, and rest and relax, is going to be better if you are able to do so in a luxury setting. It might not be something that you do every time you travel, but planning a luxurious getaway every now and then can be just what you need. With so many great luxury places to visit, though, where do you start? Here are a few ideas of some dream destinations if you are looking for a few ideas to help you see the world in style. Have you been to any of them before? It would be great to hear what you think. There are so many Greek islands to choose from, but some of the islands like Santorini and Mykonos, are beautiful, but they do have a lot of busy tourism. Which is why, if you’re looking for a luxury trip that isn’t going to be overcrowded, heading to the mainland to discover the wide-open spaces of Greece can be a good idea. The Peloponnese, though, is a part of Greece that has been a little under the radar. The west coast of the Peloponnese is full of striking and undulating sand dunes. Beaches like Kourouta are worth a visit, and there are many luxury hotels as well. Water sports, sea views, and plenty of Mediterranean food make the Peloponnese a great choice. The Peloponnese also has more wineries than any other Greek region. You might normally think of Venice or Rome when it comes to a trip to Italy, but down in the arch of Italy’s boot, Matera is an up-and-coming luxury destination, built into the rock of a ravine. It is a little far from nearest cities, so is definitely more suited to those that enjoy a resort trip or like to rent a car (or a driver), and tour around each day. It is a UNESCO World Heritage Site, so it really is untouched; a must for history and culture lovers. There are charming hotels in caves, as well as more upscale and luxury retreats in limestone grottos. The set of last year's movie hit ‘Crazy Rich Asians’ has certainly helped to boost this city-state to the top of luxury destination lists. But there are many things about Singapore that speak for itself. For starters, there is a year-round climate that is positively tropical, making it a popular choice. There are indoor attractions and things to do, as well as outdoor, including hiking. The shopping is amazing, the food is varied, and there is a rich arts scene in the city. If you are looking for a five-star hotel in Singapore, then you can be spoilt for choice. It could also be worth looking up the Duo Galleria details, as there is a large luxury five-star hotel as part of it. There are many other choices in the city-state too, so you’ll be bound to find one close to where you want to be. The region of Margaret River is a particular foodie region so there will be plenty of places to try some amazing cuisine. There is a big culture scene with an annual exhibition held each year in March. The choice of hotels is plenty, with ones like the Ritz-Carlton having rooftop pools, and others with rooftop bars, offering great views of the city. Perth is a great location for going a little further into nature and wilderness that Australia has to offer. You could head out to the Ningaloo Reef to swim with sharks, for example. Up until recent years, travel to Turkey as a little bit off-limits for many. But the stunning coastal area of the Turkish Riviera is back and doing great things for luxury travel. The value of the Lira has also fallen compared to other European currencies, so it can make it a pretty affordable alternative destination, but still with the luxury that it has to offer. The Bodrum area of Turkey has some great new developments making it a popular spot, filled with luxurious yacht parties and some buzzing nightlife. There are some great destination hotels and resorts, with spas, beaches, and restaurants. Back in 2017, one of the most powerful storms that the region has ever experienced swept across the Caribbean, leaving many resorts and homes devastated. St Barth’s was one of the islands that were the worst hit, but it is open, back, ready, and a perfect spot for a luxury trip. Going to the Caribbean is a great way to get their tourism going again too. Luxury hotel Hôtel Le Toiny, which was launched three years ago, but has been re-done again, so you’re bound to pick a hotel that is like brand new. The water sports, climate, and idyllic beaches and resorts make this a perfect choice for a luxury jaunt. If you are in it for the long-haul, pun intended, then travelling out to French Polynesia could be the place for you. There are things for everyone on the island, from couples to families, and is one of the most picture-perfect destinations of them all. There is something for every end of the luxury scale, from water villas to spas, and resorts, as well as to the other end of the scale. There are some super-luxe private islands in Tahiti with beachfront villas and bungalows that you can rent out exclusively. So you really can choose what you do, and choose to want to spend, to make it your dream luxury retreat. Appealing and luxury are two words that can pretty much sum up a trip to the islands located just off Mozambique. The area was known a little for being a place for nightlife and where nothing is off-limits, but there days there are high-end hotels that are helping to channel the country’s history and legacy. You can enjoy privacy in paradise as you enjoy the perfectly pristine beaches, lined with palm trees, by the stunning blue ocean. There are also luxury safaris on offer so it can be a great way to explore and get into nature there, without getting your hands too dirty, so to speak. Conservation is a massive thing here, so for animal lovers, it can be a great choice, with things like the marine conservation centre open for business. Arles is a city in France that is bursting with art, luxury, and culture, in a way to pay homage to its most famous former resident, Vincent Van Gogh. There are major arts venues in the city, making it a mecca for art lovers; this Provençal city in the Camargue is really making waves and is set to become a major European art destination. As you might imagine, the tourists that it attracts do like to enjoy luxury travel, so there is no shortage of hotels, both boutique and large chain, that can offer a luxury stay. So what did you think? 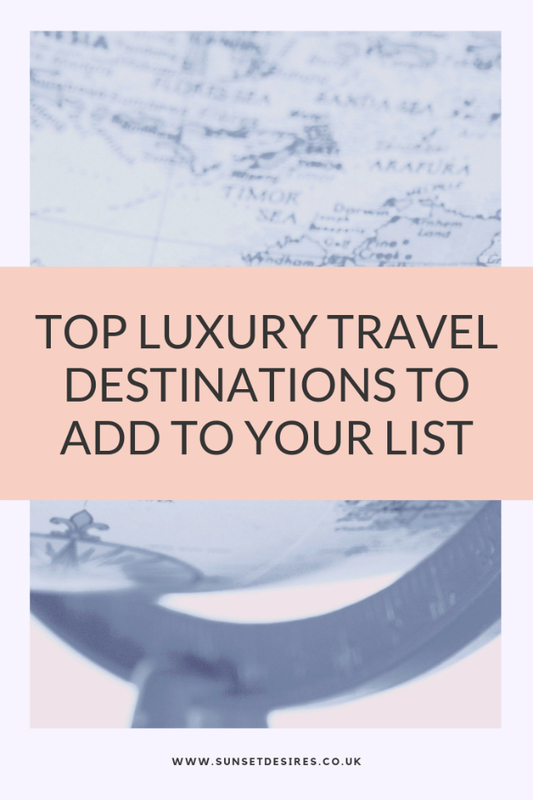 Which are your favourite luxury travel destinations? Let me know in the comments below and while you are here why not check out some more of my travel-related posts?